THE CALCULATING STARS and THE FATED SKY available for pre-order! The Lady Astronaut books are now available for pre-order! If you pre-order through these links, which will take you to Mary’s favorite local bookstore, a SIGNED and personalized copy will arrive at your house on release day! 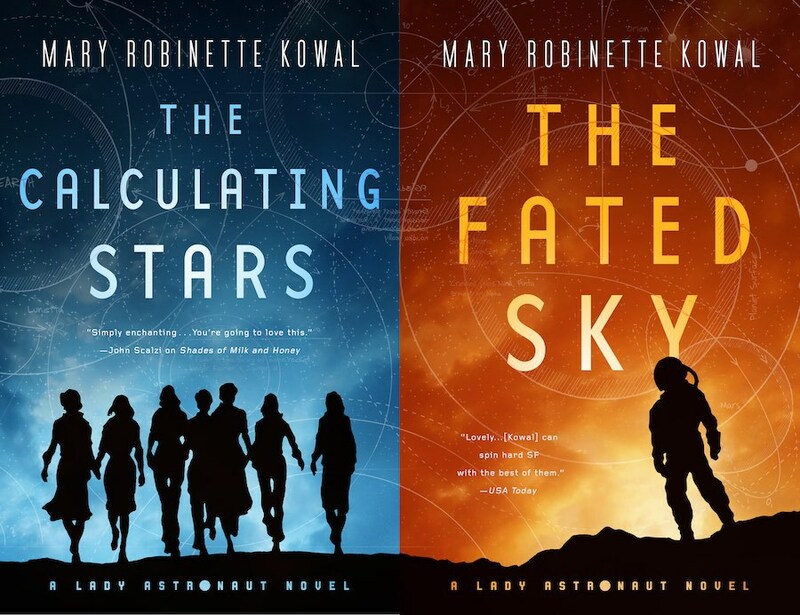 These books are prequels to Mary’s Hugo-award winning story The Lady Astronaut of Mars. You can read the story at that link as you wait for liftoff. The links to Mary’s local bookstore work but every time I add the books to my cart, the website insists my cart is empty. Looks like an issue on their end, so I guess I’ll pre-order from my local bookstore. Just wanted you to know it didn’t seem to be working. I checked with the bookstore, and they’ve been getting orders so I’m not sure what happened there. Looks like fun. Will there be audio book versions? Oh, thank you! You can pre-order from other vendors, it’s just that I can’t sign those as easily. But if you send a SASE to my PO box, I can send back a signed book plate. Aww, thank you! And yes, I will pre-order them from another place =). Already looking forward to read them!